Here’s a wee photo of yesterdays activities in the sun yes that’s right I said sun!!! The little artist discovered an excellent chalk eraser for his street art. Awww hard at work already, love the pavement art. Banksy’s identity revealed at last!!!!!!!!!!!!!!!!!!!!!!!!! Messy? Me? I can’t see any mess? 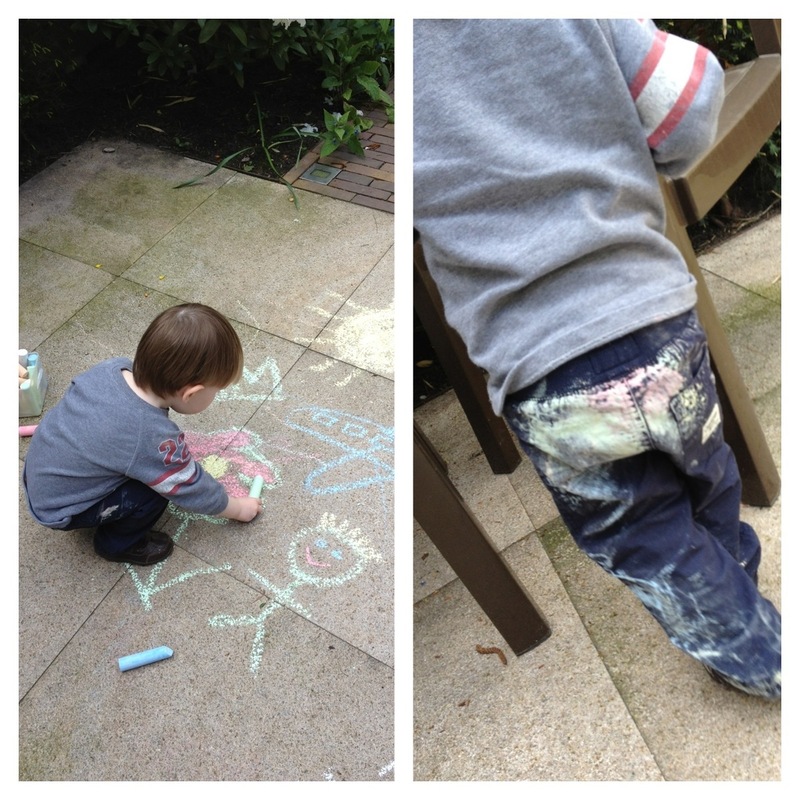 But chalk-washed jeans are so bang on trend mum!